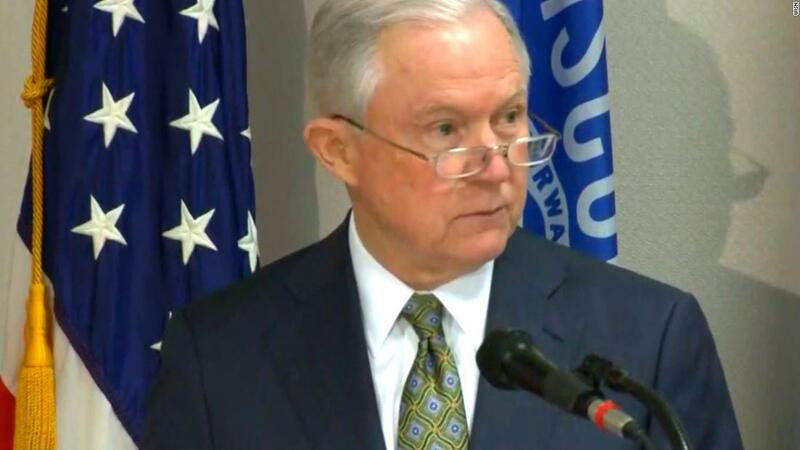 The crisis occurs when Attorney General Jeff Sessions spent most of the year reversing the Obama era's legal policies and interpretations, aligning the Trump Justice Department with the administrative priorities of deregulation and a "return to state of law". In total, 25 guidance documents dating from the Obama administration and previously considered "obsolete, used to circumvent the regulatory process or that unduly exceeded statute or regulation" were rescinded, Sessions said. In a statement, Sessions said he was ending "the prolonged abuse of issuing rules by simply publishing a letter or posting a web page." The documents were identified by a working group of the Department of Justice that operates under an executive order signed by President Donald Trump in March and included in a statement issued by the department Thursday night. The Department of Justice did not provide specific reasoning behind the dissolution of each document. The defense groups rushed to criticize the elimination of the orientation around the fines and tariffs imposed on the poor defendants. In the "beloved colleague" letter of March 2016, sent to state court administrators and chief judges across the country, civil justice officials from the Department of Justice wrote that the orientation "attempted to address some of the most common practices that clash with the Constitution of the United States and / or other federal laws and assist the court's leadership to ensure that courts at all levels of the justice system operate fairly and lawfully. " The letter does not prescribe a new policy and cites jurisprudence to support mandates such as "Courts should consider alternatives to incarceration for indigent defendants who can not pay fines and fees." "This is a disappointing decision that supports the criminalization of poverty," said Lauren-Brooke Eisen, senior adviser to the Justice Program at the Brennan Center. DOJ rescinded the 2016 memo. "Fees and fines are often applied to people who can not pay, it is a perverse, benefit-based framework that helps turn the revolving door of the criminal justice system." The change marks another chip created by Sessions in progressive reform pressed in the department of its predecessor. 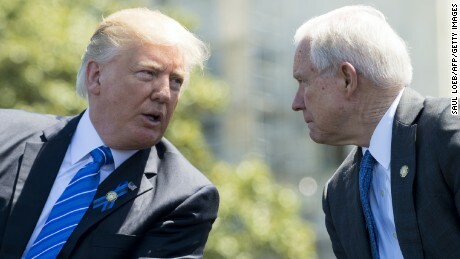 In May, Sessions told prosecutors to "accuse and pursue the most serious and easily verifiable offense" against alleged criminals, and in October he stated in a memorandum that a federal civil rights law of 1964 does not protect transgender workers of labor discrimination – both times dismissing the guidance issued under the Obama administration. Some of the memoranda were repealed on Thursday, including requirements under the Bureau of Alcohol, Tobacco, Firearms and Explosives and guidance on portions of Americans with the Disabilities Act, appeared to be simply earlier versions of current memoranda, or elements now redundant by the updated policies. Several others appeared to be Frequently Asked Questions to explain practitioners' laws, including a 1999 document that referred to "Common Problems (of Americans with Disabilities) in newly constructed housing facilities." In an example listed in the manual, the DOJ provided mechanical solutions for compliance with the disability law designed to help "people who have the use of one hand or who have limited use of hands, wrists or arms (and) they can not open doors. " A note that The explanations offered in Sections 4 (b) and 5 of the Voting Rights Act seem to have been rendered null and void by a Supreme Court ruling four years ago. The Supreme Court had held in 2013 that it was unconstitutional to use the coverage formula in 4 (b) to determine which jurisdictions are subject to the prior authorization requirement with respect to changes in the voting law in Section 5. Two letters were sent to the individual lawyers who were rescinded on Thursday offered guidance on certain provisions of the Immigration and Nationality Act. In one, an employer sought clarification on how his human resources department should respond when he inadvertently discovered a potentially falsified Social Security card long after hiring an employee, who could possibly be an undocumented immigrant. The letter was specific in terms of not offering an opinion, but reformulated the federal immigration law that prohibits hiring or firing based on immigration status. In the second letter, an immigration attorney requested guidance on the anti-discrimination provision of the law regarding legal permanent residents and when they can apply for citizenship. Both letters were out of date and were revoked because subsequent guidance on subjects had been issued, explained a DOJ official.